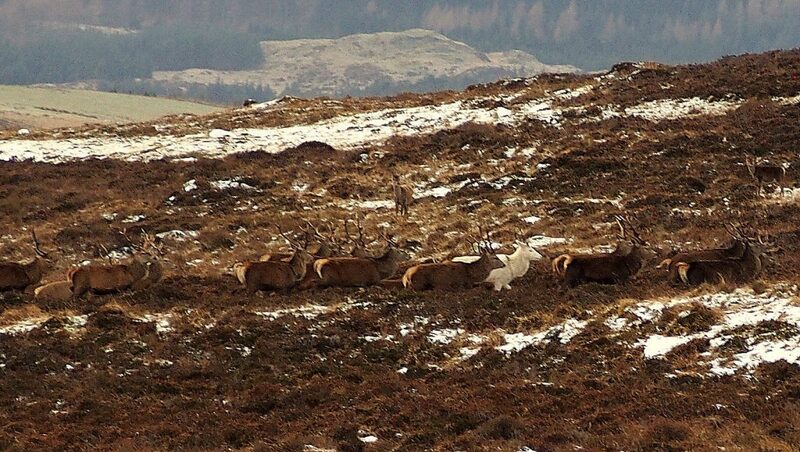 An incredibly rare white stag has been caught on camera roaming the Scottish Highlands – by a stag do. The majestic stag, which belongs to the red deer species, is believed to be among just a tiny handful living in Britain – with only three sightings this century. The ancient Celts considered them to be messengers from the afterlife and wildlife spotters dream of seeing one in the flesh. 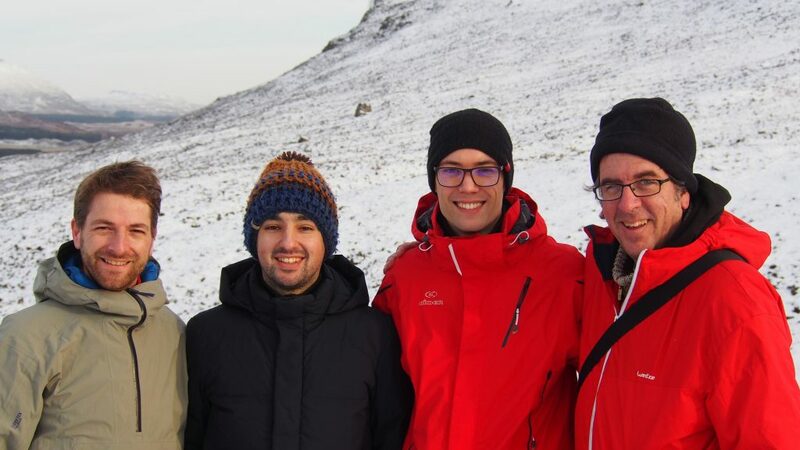 But this rare sighting was caught on camera by a stag do on a yomp through Cairngorms National Park on January 7. 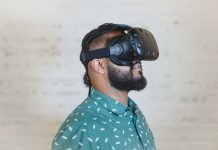 Marc Brunelle, 44, took the photos while with Gauthier Aulen, 37, Flavien Valadier, 33, and groom to be, Damien Zoyo, 30. The group caught a glimpse of what they thought were “shadowy figures” on the hills and as they got closer they realised it was a herd of around 200 red deer. 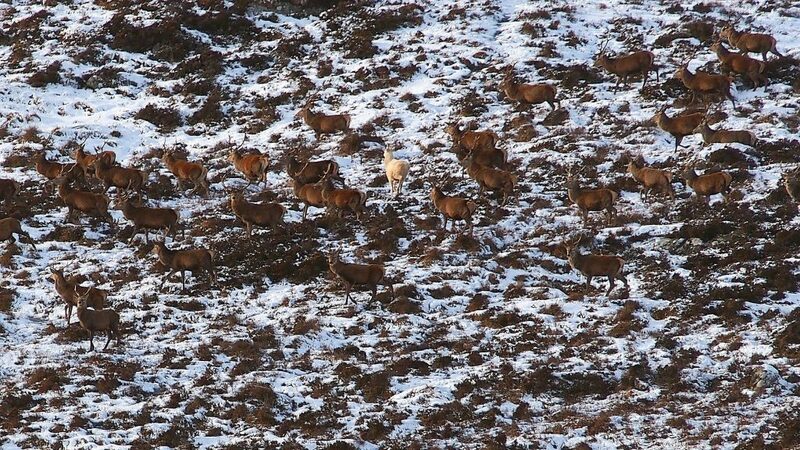 The nature-loving groom, who studied biology, immediately spotted the ghost-like stag amongst the herd. It is thought this is the first time in recent history one has been photographed within a larger herd of red deer or on video. Close friend Marc said: “The weather was incredible, I could never even imagine Scotland to have weather like this, so we decided to go for a walk. “We were getting into the middle of the wilderness when we spotted the herd. “There were about 200 of them — it was magical. “The groom is good at spotting animals and he saw the beautiful white one. “We got about 200 metres from them but it was clear they didn’t want us around so they started to walk away. Left to right Gauthier Aulen, Damien Zoyo, Flavien Valadier, and Marc Brunelle. Legend has it that white stags are closely associated with unicorns and their appearance is said to bring change to the lives of those who encounter them. 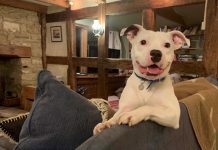 It is thought the white appearance is caused by leucism – partial loss of pigmentation caused by a reduction in multiple types of pigment, not just melanin. The precise location of the sighting of this creature is being kept under wraps to protect it from hunters and poachers. 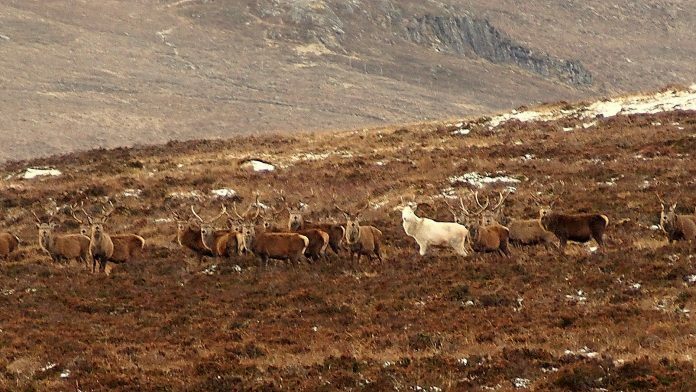 Robbie Kernahan, Scottish Natural Heritage’s (SNH) Head of National Operations, said: “It’s rare to see white stags in the wild, so it’s wonderful to see this footage. “The white colouring is probably caused by leucism, which is a rare genetic condition that reduces the pigment in the animal’s hair and skin. “There’s lots of folklore and mythology surrounding white stags, which are often said to bring good luck. 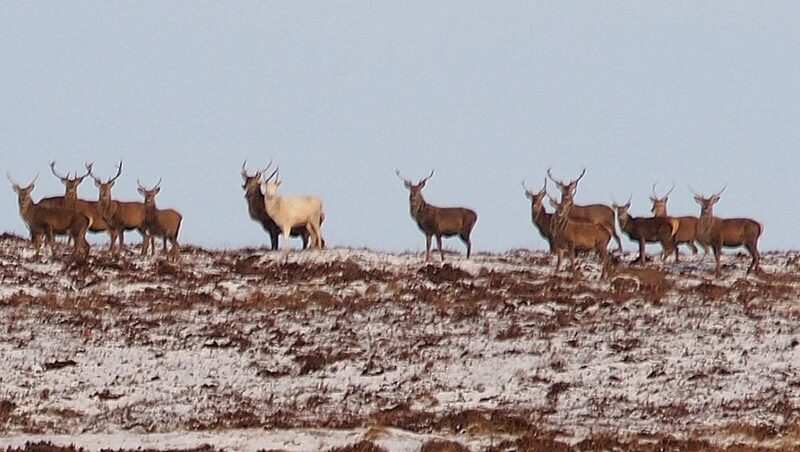 According to Scottish legend, King David I was hunting in the 12th century when a white stag charged him. When he grasped its antlers they miraculously turned into a large cross. He was then inspired to build a shrine to the Holy Rood – meaning Holy Cross – at the site of the Queen’s Holyrood Palace. In Arthurian legend, the white stag is an animal that can never be caught and represents the quest for spiritual knowledge. A white stag was spotted on the west coast of the Highlands in 2008, another in Argyll in 2012 and one last year in Dumfries and Galloway. The friends hope the sighting is a good omen ahead of Mr Zoyo’s wedding to Caroline Aulen, 34, at the end of the month.